Let’s face it, getting the perfect photo shot is hard more often than not. One of the main problems is that it’s not always easy to keep your camera or phone stable, especially if you’re out in windy conditions, or you’re just trying to get the right angle. Either way, a gimbal stabilizer makes capturing that shot a breeze. Tripods are most well known for aiding actual cameras, such as digital cameras and the DSLR variety. However, there’s also a good amount on the market right now that are a miniature version of those, and are designed to work with your smartphone. This is fantastic news for those of us who may not be professionals, but still love a great quality image. Today, we’re sharing with you our favorite tripods for the Google Pixel 2 XL, which is one of the most popular phones that is flying off the shelves. 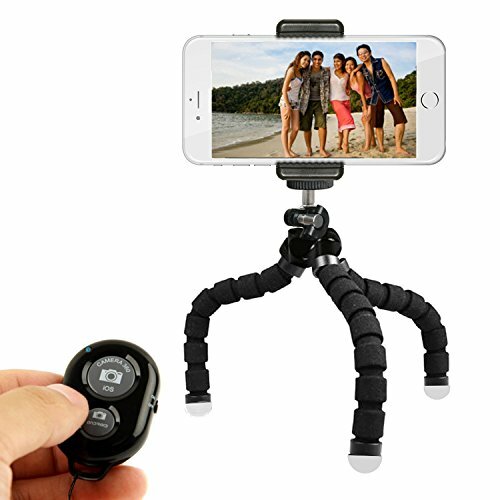 This mini tripod from Kobratech is equipped with flexible stands to ensure the most stable placement even when you’re somewhere with uneven ground, such as a beach or field. But, it doesn’t even necessarily have to be standing on a fairly flat surface, because you can also attach the legs around a tree limb, lamp, or anything of the sort. The design of the KobraTech is also versatile. Any smartphone you have, including the Google Pixel 2 XL, should fit perfectly since it’s adjustable. On top of that, there’s also an adapter for a GoPro if you plan on using on of those as well. And to back up their product even further, KobraTech offers a 2 year warranty, and a 100% money back guarantee, so you can make your purchase with confidence. 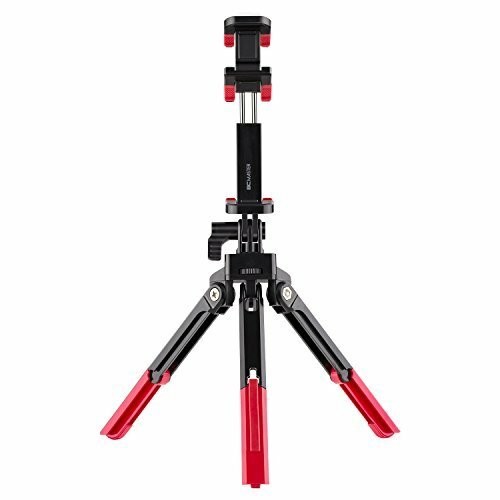 BC Master’s mini tripod is designed to work in several different ways. 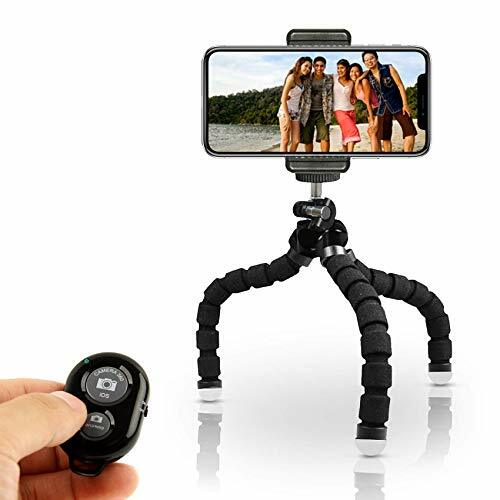 First, you can use it as a tripod for your smartphone (including the Google Pixel 2 XL), or you can convert it to a more portable selfie stick, or, even further, a tablet stand to keep your tablet upright while you’re using it or watching a movie. With this being already just under ten dollars, there’s little to no risk, because it’s just not a big purchase. However, the company still offers a 24 month warranty to ensure customer satisfaction, so if you happen to have problems with this product, you can definitely get in contact with the company for a replacement within 2 years of purchasing. This smartphone tripod from I-Sonite is definitely one of the best on this list for travelling. If you’re a traveller, you know just how important it is to travel as lightly as possible, and chances are you know all the tips and tricks on how to do that. With this tripod, you’re not even going to notice it’s with your luggage, because it just folds up that small and is extremely light. This tripod is great for your typical photos, but also ideal for more creative projects such as stop-motion videos and time lapses. It also includes a handy remote that is entirely wireless, so you won’t have to worry about any sort of cord getting lost and whatnot. The remote is for getting the perfect shot, even further away. 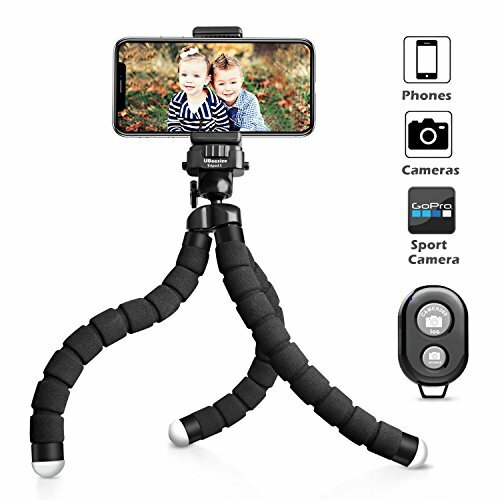 Ubeesize’s smartphone tripod is a number one bestseller on Amazon, and has endless fantastic reviews to comb through. 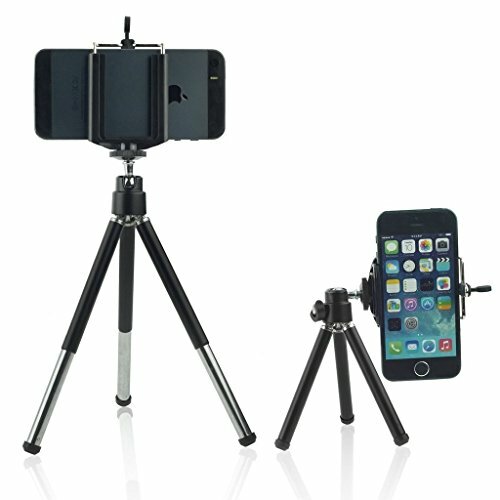 This is really a high quality product, and one of the tallest tripods you’ll find for smartphones. So if you’re looking for something with a little more height than your typical mini tripods have to offer, this is really a great option indeed. To give you more specifics, the legs are extremely flexible and durable. That means that no matter how you decide to bend them, or however your tripod gets tossed about during travel, there should be little to no wear and tear. 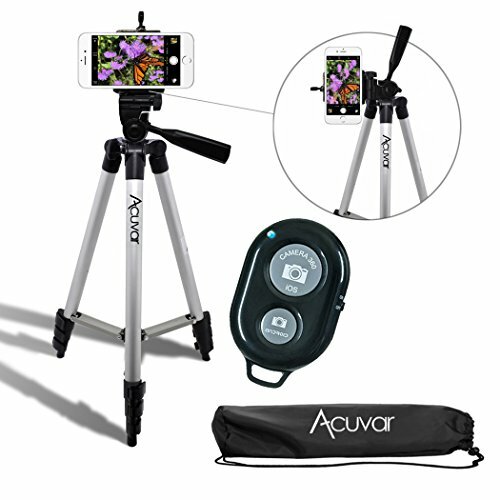 It also includes a wireless remote control, with a range of up to 30 ft.
With this tripod from Acuvar, you actually have three different options to choose from a tripod that’s 6.5 inches tall, 12 inches tall, or a an entire 50 inches tall. The mechanism itself has a padded grip to avoid damaging your Google Pixel 2 XL, which is a nice feature, especially considering the price of the phone. With the included remote control, you can take pictures from up to 30 ft away. The package itself will include the tripod, the mounting mechanism, bag/case for taking it on the go, remote control, and a cloth to wipe it clean from time to time. 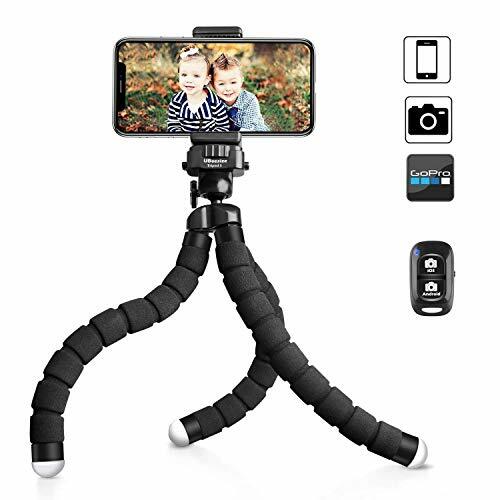 For $25, this is an awesome tripod, and right now, Amazon is actually running a discount, so you can get it for just $16. With so many great products listed here today, you just can’t go wrong with any one of them. However, if you decide to purchase one, please be sure to tell us all about both the product, and your experience with it, in the comments section.